Can Asthma Affect Your Oral Health? Asthma is a serious, potentially life-threatening disease that causes airways to narrow and makes breathing really difficult. While there is no cure for asthma, there are several treatments available to help re-open airways and make breathing a bit easier. However, at our West Caldwell dental office, we also know these medications, and asthma itself, can lead to some major oral health concerns. 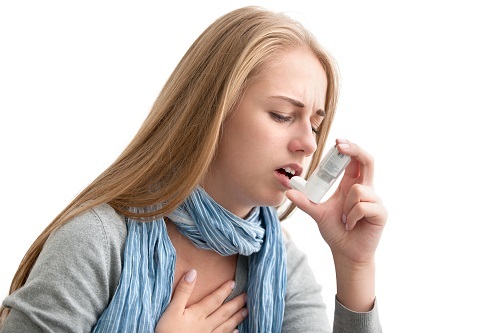 Asthma sufferers tend to also be mouth breathers, and mouth breathers tend to suffer from dry mouth. Dry mouth results when not enough saliva is produced to moisten the mouth and rinse away bad bacteria that may lead to decay. Common asthma treatments may also cause dry mouth, increasing the likelihood of cavities even more. But that’s not all. There’s evidence to support a possible correlation between asthma and gum disease too. In fact, according to one study, those studied who had gum disease were five times more likely to also have asthma. There are several ways you can protect your smile against the adverse effects of asthma and common treatments for it. Fight Off Anxiety. If you suffer from asthma and have a history of dental anxiety, it’s crucial you let your dental team know. Research proves that the best way to overcome dental fear is to communicate with your dentist, so talk to them about it. There are also things you can do on your own to help ease anxiety. These tips, along with open communication, can keep you calm and suppress a potential asthma attack. Water. Drinking plenty of water throughout the day, everyday, can keep your mouth moist, hydrated, and ready to fight off unwanted germs and bacteria. More Water. Following using an asthma treatment like an inhaler, rinse your mouth with water or a fluoride mouthrinse. Since we know asthma medications containing drying ingredients, the sooner we can wash them out of the mouth, the better. 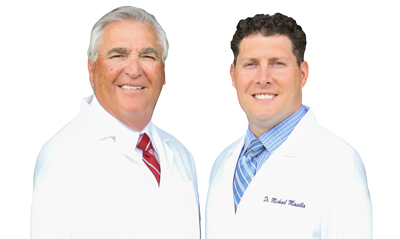 Everyone at our dental office in West Caldwell is here to keep you healthy. If there’s anything we can do to help make you more relaxed at your visits, let us know. Likewise, if there are any concerns you have about your asthma treatment, or any medication that may influence your oral health, we encourage you to talk to us about it. There are several things we can do to help combat any unwanted side effects for a happy mouth, and a happy body.